How do I keep my fence from warping and discoloring? Is my granite sealed and how often should it be sealed? The caulking around my windows is cracking and peeling away. Is this normal? Is there any maintenance on the air conditioning unit I can do myself? Can I use any kind of bulbs when my bulbs burnt out? It is recommended when a bulb burns out to take the bulb to Home Depot, Lowes or any hardware store and match the bulb. The bulbs installed are compatible with the fixture installed and should be replaced with the same type of bulb. What happens when plugs stop working? DISCLOSURE: No homeowner should attempt any of the above repairs without reading all instructions and warning labels on all equipment and products used in the residence. We suggest that you defer all questions and recommendations through a representative of a reputable home-improvement store prior to attempting repairs. I will be applying for a loan soon. What do I need to do to prepare? Bonadelle Neighborhoods affiliate, Premier Mortgage, has assisted hundreds of families into their new Bonadelle Neighborhoods Home. Meet with a Premier Mortgage specialist before your purchase for answers to all of your questions. Premier’s professional mortgage specialists will make your loan application process seamless. In addition, Bonadelle Neighborhoods sales counselors can provide you with any financial information you may need at our Welcome Center. We are open daily, including weekends, from 11 A.M to 6 P.M. Our trained, professional sales counselors can offer you a free credit check upon your request at our Welcome Centers. They can also provide you with monthly payment and down payment quotes and review qualification requirements with you. If you would like to contact one of our dedicated sales counselors, please click here. I found a foreclosed home for an amazing price! Why shouldn't I buy it? One word: Repairs. Keep in mind that many of the previous owners of foreclosed homes couldn’t keep up with their mortgage, so chances are maintenance and repair work on the home was not kept up either. Some homeowners even go so far as to destroy the home intentionally because they are being forced to leave. Making the repairs necessary to make the foreclosed home livable will require a lot of money upfront in addition to your down payment and closing costs. Bonadelle Neighborhoods offers incentive programs that allow buyers to move into their NEW Bonadelle Neighborhoods home with very little money down and, in some cases, no closing costs. For a complete explanation of the amazing incentives being offered now at Bonadelle Neighborhoods, please contact one of our sales counselors by clicking here now. Another important reason to purchase a new home as opposed to a foreclosed one is that everything in a new home is NEW. Foreclosed homes are USED homes; others have lived in the home, cooked in the home, showered in the home, and slept in the home. For most of us, our home is the biggest investment we will make. Buying a new home insures the homeowner of receiving brand new kitchen appliances, air conditioning, flooring, roofing, etc. that all come with a warranty. By purchasing a new Bonadelle Neighborhoods home, you will have peace of mind knowing that your home is warranted. You and your family can enjoy the home of your dreams that includes all of the up-to-date and ECO-Logical features that will help lower energy costs. These are things you’d expect to find in a new home as opposed to the hassle, worry, and spending involved in trying to make an old, foreclosed home look fresh and modern. On more point to consider, if you have always dreamed of owning a new home, your buying power will never be stronger than it is today. All indicators show that new home prices have hit bottom and interest rates will not stay this low for long. NOW is the time to purchase a NEW home! If you would like to contact one of our sales counselors, please click here now. Why shouldn't I buy it? Why should I choose Bonadelle Neighborhoods over other homebuilders? There are several reasons to choose a Bonadelle Neighborhoods home. 1) The most important is VALUE. At Bonadelle Neighborhoods, our first priority is building a home that you and your family can take pride in for decades. Our painstaking attention to detail results in quality and value. Features typically found in custom homes come standard at Bonadelle Neighborhoods. These include large pool size lots, granite kitchen countertops, extensive tile flooring, tankless water heaters, and large covered patios. 2) A second reason to choose Bonadelle Neighborhoods is that our professional sales counselors will assist you in your home buying journey every step of the way, from the minute you walk into our welcome centers until the purchase of your home is finalized. Unlike other building companies whose sales agent’s sole responsibility is to make the sale and hand the buyer off to a mortgage company, our sales counselors are trained to answer all of your questions from the first day you visit our welcome centers until the day you move in, and beyond. Our sales counselors will be there to counsel you through your entire Bonadelle Neighborhoods home purchase. This includes guiding you through the financing portion of the home buying process. Our sales counselors will explain to you what the financing requirements will be and help you to determine which type of loan best fits your needs. They will also explain the features of your new Bonadelle Neighborhoods home and community and assist in choosing your optional features so that you can customize your Bonadelle Neighborhoods home to match your personal needs and style. This includes assisting with setting appointments with our design studio so that you may make your interior color selections. Once your home is completed and ready for you to enjoy, our warranty department will counsel you on how to operate the features that are included in your new home, how to maintain your new Bonadelle Neighborhoods home, and explain your new home warranty. 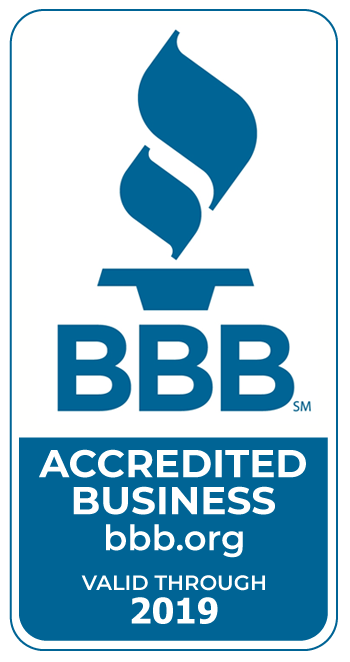 3) A third and extremely important reason to purchase a Bonadelle Neighborhoods home is that we are a local Fresno company. We are a local, family-run business that has been building homes in the Valley for more than six decades. Since we put our name and reputation on the homes and communities we build, it is extremely important to us that we build a home with the highest of standards. We employ local workers. We re-invest in our community through local charities and institutions. And when you call with a question about your home or your home warranty, you’ll talk to a local Bonadelle Neighborhoods representative, not someone halfway across the country. 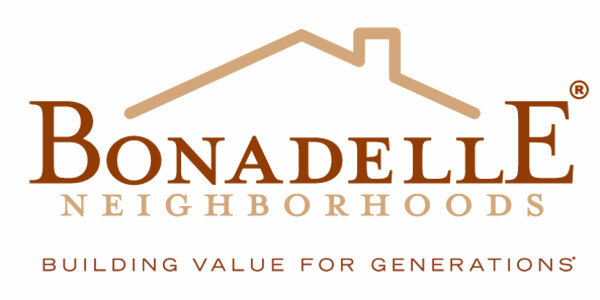 Another important reason to purchase a Bonadelle Neighborhoods home is that while our company is large enough to provide you with beautiful homes built to the highest of standards, we are also small enough that the owners of the company are involved in every step of the home building process. It is not uncommon to run into John, Lisa, and their children at the Bonadelle Neighborhoods Welcome Centers or on the construction site. Being a small, local company allows us to provide our customers with better “hands on” service and homes without the cold corporate layers of employees. If you would like to contact one of our professional sales counselors, please click here. Where do I go to finalize everything in the home buying process? One unique aspect of our company is the relationships we have with lenders, mortgage companies, and title companies. At Bonadelle Neighborhoods, we make the home buying process as easy as possible by keeping the steps involved in the process at our Welcome Centers. Everything you need is on site to guide you through the entire process. In addition, we offer our homebuyers below-market interest rates through our affiliate mortgage company, Premier Mortgage, Inc. To receive more information, please click here now.